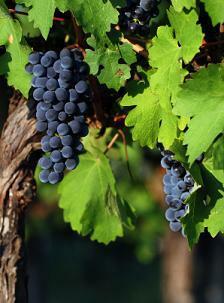 Organic red Italian wine is produced in a manner in which there are no harmful or negative effects on the environment. Casina di Cornia Chianti Classico Riserva - Medium bodied, lightly tannic with bold fruit flavors. Average retail price: $32 per bottle. Rosso Toacano Casina di Cornia - This simple wine is perfect for everyday sipping. Average retail price: $13. Casina di Cornia Chianti Classico - Another easygoing everyday Italian wine. Average retail price: $19. Organic red wines are higher in antioxidants than their non-organic counterparts - This means that the health benefits of red wine are increased in organic red wine. If you are having a difficult time finding organic Italian wine in your area, here are a few websites for you to browse. Wines of Interest - This company is based in the United Kingdom so if you decide to purchase wine, be aware of currency exchange rates. Organic Vintners - Browse through the wide selection of both red and white wines at this easy to navigate website. Shoppers Vineyard - This website has a wide selection of organic wines from around the world. In addition to trying the options listed above, consider a visit to your local wine merchant to ask the employees what organic Italian wines they recommend. With the wide variety of organic red Italian wine available, there is no reason why you shouldn't give one a try. They do not have less flavor or body and are just as elegant as non-organic wines. The price per bottle is not more or less expensive than the non-organics and by purchasing organic wine, you are supporting environmentally friendly, sustainable farming, which benefits everybody.